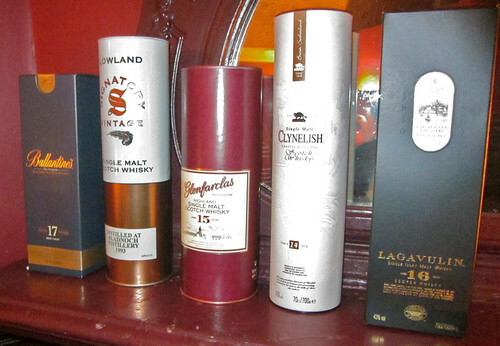 So, Thursday has been and gone and my pre-Burn’s Night whisky tasting at The Alma has gone with it. 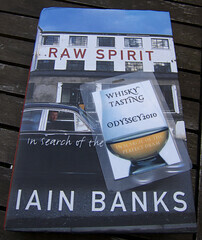 It was a rather enjoyable evening and I thank those who came along to listen to me witter about whisky. 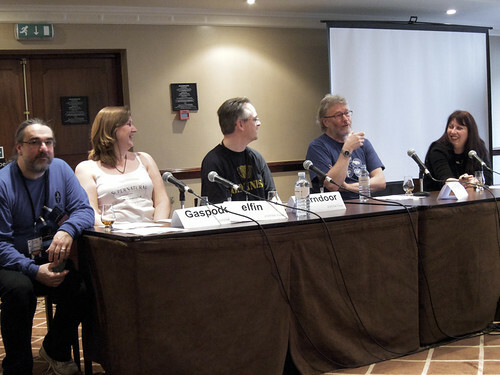 Well, drink whisky while I wittered noisily in the background at least. As promised to those who came along, and as a record of what you missed (take that as a positive or negative as you will) for everyone else, here’s a sanitised version of my notes, without quite so many spelling mistakes and unused stage directions. with 97.5 points. Ballantines the company started out like many blenders as shop, opening in 1827, and by the mid 1860s had started blending whiskies for their customers. The brand was acquired Pernod Ricard in 2005 and isn’t all that well known in the UK. However, they are big around the world and increasingly so in the UK, with their premium blends (such as the 17) appearing more often as they get praised. On the nose I got PVA glue, pear, unripe green grapes and sherry dipped sponge cake (a combination of vanilla, acetone + biscuits). It had a very tight palate, with an initial sweetness moving quickly to dry wood and a lingering grainy finish. It was buttery without an oily mouth feel and had sharp apples, cedar/teak/old cabinets, sour apple sweets and a little bit of lime. Water brought out some vanilla, bitter dark chocolate and lemon peel. 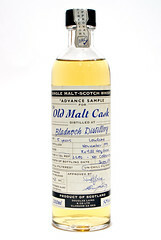 Whisky #2 was a Signatory Bladnoch 1993 16 year old. This comes from the most southerly distillery in Scotland, situated near Wigtown in Dumfries and Galloway in the south west of Scotland – latitude-wise it’s just south of both Newcastle and Carlisle. The distillery opened in 1817, closed in 1949, reopened in 1957, closed in the 1990’s and then reopened again in 2000. This whisky was distilled in 1993, before the last close, and is in a similar but different style to current production, which started being standardly bottled as an 8 year old in 2009. This whisky comes from independent bottler Signatory, founded in 1988 as simply a bottler and expanding into distillery ownership in 2002 with the purchase of the distillery with maybe the smallest stills in Scotland – Edradour. According the internets, the name Signatory came from a plan to produce whiskies with a label signed by a celebrity, but they sold out their first bottling before they organised the signature and abandoned the idea while keeping the name. On the nose it had light vanilla, unsweetened pineapple, cut grass and a touch of woodiness. To taste it was light with some sweetness, coconut, linseed oil and floral notes. Water added in some more grassiness and more vanilla. Whisky #3 was Glenfarclas 15 year old. Despite this being the distillery I have visited most often, thanks to yearly visits to Scotland and it being one of the closest distilleries to where we stayed, I’ve not tried the 15 year old until recently. Glenfarclas was founded in 1836 but has been run by the Grant family (not to be confused with the other Grant family, the ones who own Glenfiddich and Balvenie) since 1865. They normally use a chunk of sherry wood in the maturation of their whiskies and this one is no exception – on the nose there’s rich dried fruit, hints of pedro ximinez, dark rum and cognac. To taste it has more of the dried fruit and raisins, dried orange peel and rich fruit cake in between. Water rolls out more sweetness and adds even more thick richness. Whisky #4 was Clynelish 14 year old. I wasn’t sure about including this one, as it’s a distillery that’s not quite so well known and there are many more Highland whiskies I could have chosen. However, in the end I went for it because I really like it – it was my Christmas whisky this year and it’s in my hipflask. I’m rather pleased I did, as it seemed to be rather liked by the tasting group as well (and tales of its almost permanent special offer status at Waitrose didn’t hurt). The distillery is in Brora, up the east coast of Scotland from the Dornoch Firth, about 1/2 the way to John O’Groats. It’s the second distillery to be built in Brora and operated as Clynelish 2 from its building in 1967 until the older distillery was renamed from Clynelish to Brora in the 1970s. Brora closed in 1983 and the remaining stock is in much demand, but with a minimum age of 27 years (that being how long it was since spirit was last produced there) it’s getting rarer and closer to the point where it will be going bad in the barrel rather than continuing to add good flavour. On the nose this had wax (as is traditional with Clynelish whiskies), brine, sweaty boiled sweets, a hint of meaty smoke (burning beef? ), creamy vanilla and some leather. To taste it was initially sweet turning to sour wood by the finish. It had vanilla, mint, menthol, unripe red grapes and tannic wood to finish. Water added some more sweet and sourness and a touch of sherbert – a bit like Refresher chews. Whisky #5 was Lagavulin 16 year old. Distilled on the south coast of Islay, a concentrated whisky production area with 8 distilleries squeezed into 240 square miles of island just off the west coast of Scotland near the Kintyre peninsula. It has distilleries to either side, with Ardbeg to the east and Laphroaig to the west, all three of them known for producing heavily peated whiskies, which is the style of most of the distilleries on the island. On the nose this has coal and campfires with sweetness hiding underneath. To taste it has a big smokiness, sweet mulchy peat, rich dried fruit and spicy fruit cake. Water rolls back some of the smoke bringing out more fruitcake and and vanilla. A big one to finish and a nice contrast to the almost smoke-free others. I also brought out some new make spirit. It was Glenglassaugh Clearac, which is unpeated spirit that’s watered down to 50% before being bottled and sold – not quite the 70%ish spirit that comes straight out of the still. It’s quite sweet to smell, with caramel and lemons, and simply flavoured, with citrus sweetness and cereal notes. 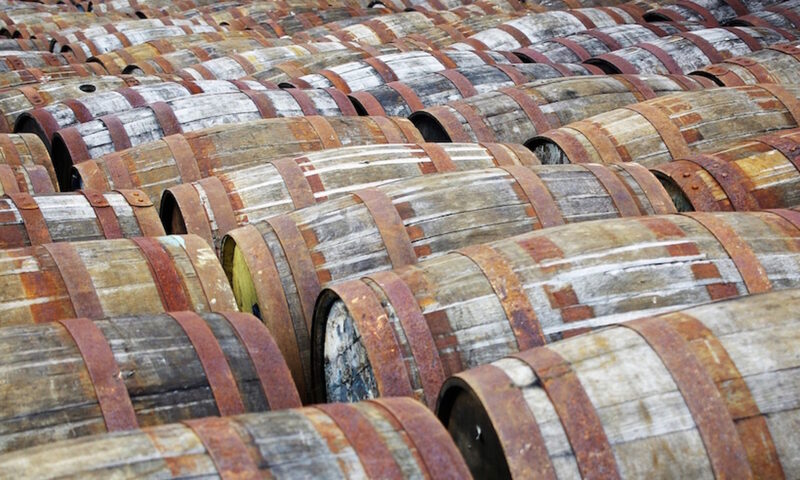 It shows quite nicely how much the wood maturation of whisky adds to the flavour. Anyways, that was it. 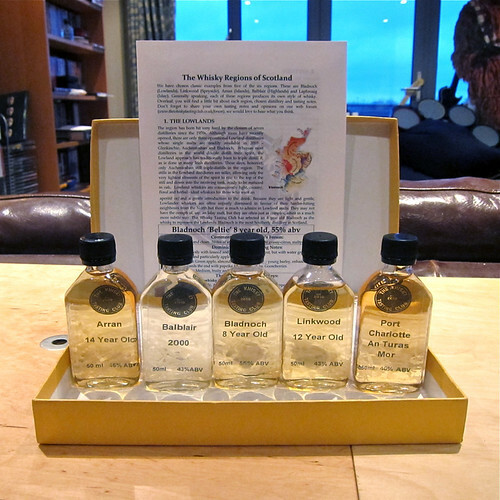 I was quite pleased with the whiskies – they contrasted nicely and gave a nice overview of the range of flavour available, which was the point of the tasting. 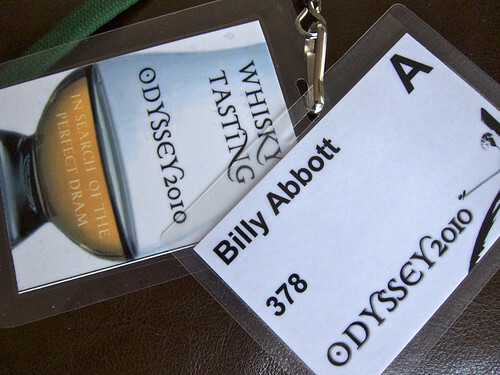 There was only one person that really needed to be converted to liking whisky – Kirsty, who organised the tasting. She wasn’t quite a total convert but did acknowledge that there was a chance that she might find a whisky that she likes, which I’ll take as a victory. Blended Scotch whisky, 43%. ~£30 from Master of Malt. Single malt Lowland Scotch whisky, 43%. ~£35 from Master of Malt. Single malt Speyside Scotch whisky, 43%. ~£35 from Master of Malt. Single malt Highland Scotch whisky, 46%. ~£30 from Master of Malt. Single malt Islay Scotch whisky, 43%. ~£40 from Master of Malt. “Spirit drink”, 50%. ~£15 per 20cl bottle from The Whisky Exchange.